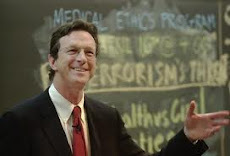 Now we have 18 of Michael Crichton’s published books in digital format—the 17 novels published under his own name and Travels, one of his five nonfiction books (if you count the different editions of Jasper Johns as two different books, which I do). Electronic Life (1983) – If there’s one book that should be an ebook, it’s this one. The book that I most enjoyed writing was TRAVELS, because it was autobiographical (so I knew the subject matter very well.) As I finished each chapter, I had a sense of relief, as if a weight was lifted from my shoulders. And I wrote in a very slow and orderly way, over a five month period. I really enjoyed looking back on my life and writing out sections. It was like no other book I've worked on. But they're all different. Every writing experience is different. I’m delighted to have an ebook (in addition to the many editions I already have). But here’s something strange. That’s a very peculiar disclaimer for an autobiography. The ebook of The Andromeda Strain has an identical disclaimer. As most of the new ebooks were novels, I imagine that the people responsible for creating the digital editions just assumed that Travels was fictional as well. Fascinating Fact: Jurassic Park was first released as an ebook in 1992. More on that soon! Here’s a find I’m very happy to share. After some digging, I discovered (in a web archive) an essay that Michael Crichton had written about the Mac for the Apple website. Why have I been so loyal to Macs? One important reason is they’re better designed. By which I mean simpler — simple design is always the most difficult to achieve. I want objects in my environment to be simple and clear, because I don’t want to be bothered figuring out a coffee maker or a TV remote. In fact, I refuse to be bothered. But let’s face it, I make my living on a computer. I spend all day in front of it. And in the end, the real reason I prefer Macs is because they stimulate my creativity more than other machines. It’s difficult to say why this occurs, exactly. For one thing, they reek of innovation, and when I sit in front of one, I feel innovative, too. I like working on them. They’re playful, they don’t take themselves too seriously. And I do a lot of playing around when I work. I’m very grateful to late great Steve Jobs and the brilliant folks at Apple for what they contributed to the work of Michael Crichton.